MSC Cruises launched an important partnership with UNICEF in 2009. By 2019 we had raised more than EUR 9 million (approx. $10 million USD) for UNICEF thanks to the generous contributions of our guests. The funds raised are used to provide malnourished children with Ready-to-Use Therapeutic Foods (RUTF) such as Plumpy Nut® and to date more than two million sachets of RUTF have been delivered to children in Ethiopia, South Sudan, Somalia and Malawi. We also dispatched six containers with more than 22,000 much needed supplies to contribute towards relief efforts in Malawi. MSC Cruises works to raise awareness on board its ships about UNICEF’s work and the needs of children around the world by organizing “edutainment” activities for children and their parents. Each week sees the program on board each of MSC Cruises’ ships including a dedicated UNICEF Day with fun games, a children’s parade and the distribution to each participating youngster of a leaflet to teach them about malnutrition in the world. They also receive a UNICEF World Citizen passport that is stamped after each educational activity is completed, making them an ambassador for the rights of the child worldwide. In order to support biodiversity conservation, sustainable development as well as the enhancement and promotion of marine protected areas, MSC Cruises and Marevivo joined forces in 2015 to inspire young people with a passion for the sea. MSC Cruises believes that global leadership brings increased responsibility towards the physical and human environments in which we operate. Our commitment to safeguarding both the marine ecosystem as well as the health and safety of all staff and guests on board our ships has earned us numerous awards and certifications. In 2016, the leading international classification society, Bureau Veritas, recognized MSC Cruises with the Special Safety Best Practices Award for the high level of enhanced safety procedures across its entire fleet. This important award follows similar accolades earned in past years. In 2013, Bureau Veritas granted MSC Cruises the honor of being the first company to receive ‘7 Golden Pearls’ for environmental care for MSC Cruises’ Fantasia Class ships. This unique award comprises Cleanship 2 Class notation for advanced air, water and waste treatment systems, as well as new ISO 50001 certification for the highest standards of Energy Performance, ISO 14001 certification for environmental management, ISO 22000 for food safety and OHSAS 18001 for occupational health and safety. 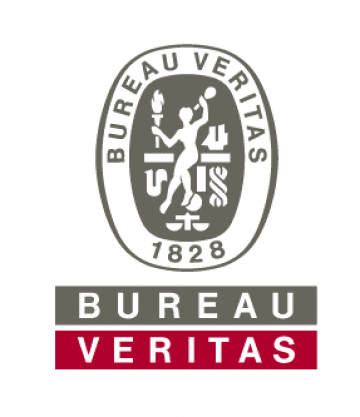 With MSC Preziosa, MSC Divina and MSC Splendida, we have also successfully met the strict standards required by Bureau Veritas’ voluntary Energy-efficient Design scheme. MSC Fantasia and MSC Preziosa will be retrofitted with exhaust gas cleaning systems in 2017 and have already received their MED Certificates from Bureau Veritas after passing the MARPOL test. This test serves to certify that new equipment is fully in line with the requirements of the EU Marine Equipment Directive. All other existing ships are scheduled to follow suit. Reflecting its commitment to protect the seas, MSC Cruises was one of the first cruise lines to voluntarily reduce emissions in ports to levels far below legally required limits. The quality and safety of all aspects of our catering practices, both on shore and on board, were officially recognized with ISO 9001 and ISO 22000 certifications. MSC Cruises announced another new chapter in its environmental stewardship program, by introducing a commitment to eliminate single-use plastics from its entire fleet globally and introduce sustainable alternatives where available. Under its Plastics Reduction Program, MSC Cruises will now effectively phase out an extensive number of plastic items from all our ship operations and ashore, and will replace them with environmentally-friendly solutions. As a first step, we have taken action by replacing all plastic straws with 100% compostable and biodegradable substitutes. Moreover, drinks will no longer automatically be served with a straw, a measure which will see the overall consumption of straws reduce by 50%. Guests who may require a straw will still be able to choose from a variety of environmentally-friendly options. This practice also extends to the Company’s island destinations, all shore-based offices and the shore excursions MSC Cruises offers. By end of March 2019, all single-use plastic shopping bags, spoons, glasses, stirrers, and other single-use plastic items for which substitution is available will be permanently phased out and replaced by environmentally-friendly alternatives. Packaging from single-portion items such as butter cups, jams or yogurts will be removed and processes will be optimized to provide guest-friendly and convenient solutions. This achievement is a first step in a broader Plastics Reduction Program which aims at eliminating single-use disposable plastic – when viable substitution is available – and reducing the use of plastics more generally. However, this is an ongoing journey and when technology doesn’t yet allow for sustainable non-plastic substitution, MSC Cruises wants to ensure all disposable plastic waste items are recycled correctly. To this end, as this program aims to be all-encompassing, MSC Cruises will be working with a global leader in inspection, verification, testing and certification, to assure recycling activities are verified and certified by an expert organisation.